We stock a large variety of Insinkerator compatible water filters to suit the F0601R, F-701R, F-201R. These are premium replacment filters to suit the 1100 and 3300 series systems. If you are looking for sub micron filtration for your GN1100 or HC1100 then consider the compatible F-701 or F-601 water filter. HydROtwist Premium Compatible F-701R (F701R) Replacement Water Filter. 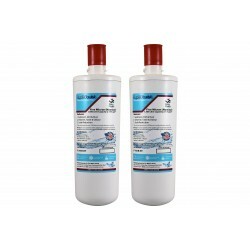 Premiums compatible replacement water filter for Insinkerator 1100 and 3300 series systems. This is a compatible filter to suit the following models: - GN1100 - HC1100 - H3300 - HC3300 Reduces* the followin..
HydROtwist Premium Compatible F-701R (F701R) Replacement Water Filter Twin Pack. 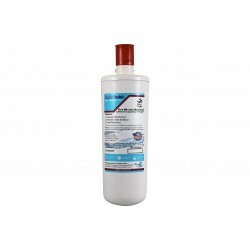 Premiums compatible replacement water filter for Insinkerator 1100 and 3300 series systems. This is a compatible filter to suit the following models: - GN1100 - HC1100 - H3300 - HC3300 Reduces* th..
InSinkErator F-601R Compatible Replacement Filter. Specifically designed to replace the genuine filter thats used for instant hot and hot/cool water dispensers. 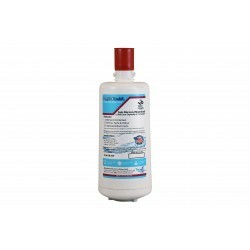 Provides fresh-tasting water by reducing chlorine taste and odor, lead, mercury, cysts, and other impurities. 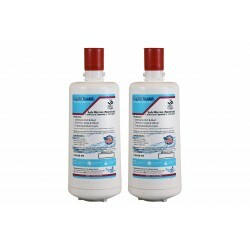 The HydROtwist ..
2 x InSinkErator F-601R Compatible Replacement Filter (Twin Pack) Specifically designed to replace the genuine filter thats used for instant hot and hot/cool water dispensers. Provides fresh-tasting water by reducing chlorine taste and odor, lead, mercury, cysts, and other impurities. ..